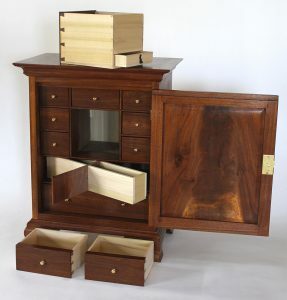 The Pennsylvania spice box offers unique challenges to the intermediate woodworker. From case construction to hanging a door and dovetailing a large number of drawers, this project will challenge your skills. The best part of spice boxes is the secret compartments, right? I’ve designed this Pennsylvania spice box with several.